In the midst of a dominant Western classical music tradition, Asian classical composers tend to get overlooked, whether it be in live performance or in recordings. 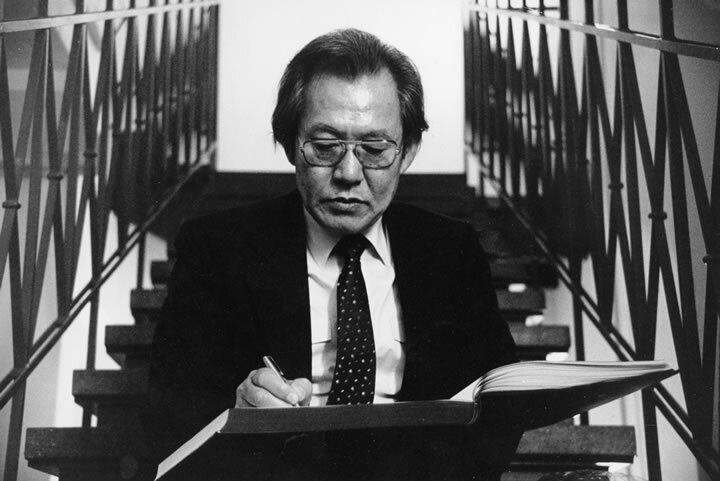 Few know that beginning in the 20th century, Korea had a fruitful classical music culture with individuals like Isang Yun being recognized by their Western counterparts as composers of great stature. Many of these compositions were unique for their blend of Western and Eastern influences, as these composers utilized a distinct Western heritage while retaining traditional Eastern elements like scales, different methods of articulation, and more in their compositions. 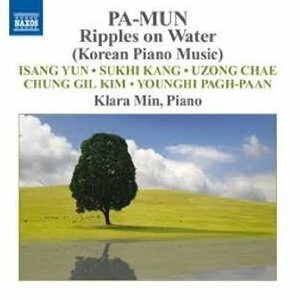 As a Korean concert pianist, I am particularly impressed by concert pianist Klara Min‘s efforts to spotlight works by Korean composers in her recording Pa-mun: Ripples on Water, released on the Naxos label in 2011. The recording is informed by an awareness of these dual influences from the beginning to the end. According to the program notes, written by Min herself, the composer of title track and opening piece “Pa-mun,” sought to renew Korean musical culture using Western compositional techniques. 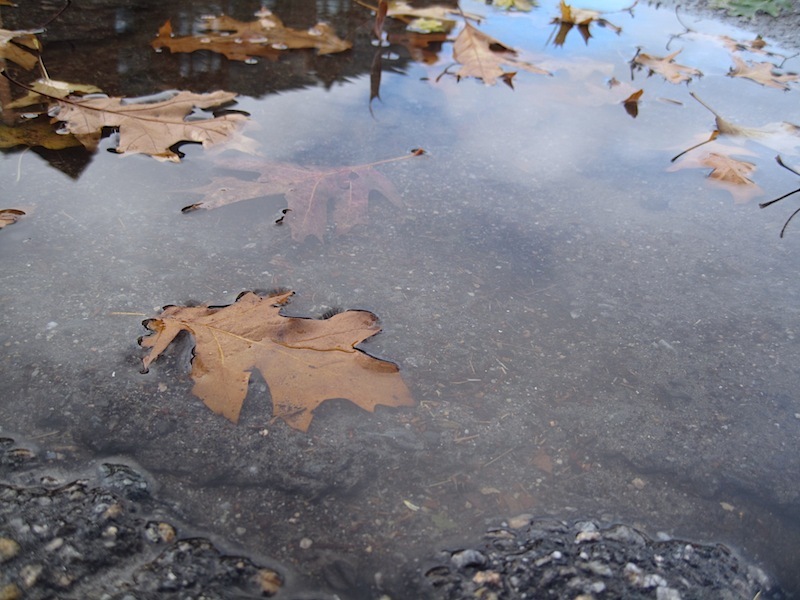 This piece, composed by Youghi Pagh-Paan, is a soothing musical description of wave reflections on water (the word pa-mun describes the effect of ripples on water). The composer wrote that the organization of the piece is very evocative of the act of throwing small stones onto a surface of a lake, and this is apparent in the opening of the piece: the initially calm tempo and lower range quickly gives way to dissonant and ascending clusters of notes that sound very much like water droplets spreading to create more ripples. The dynamics, superbly controlled by Min, are never overpowering and the ripples, while they may become agitated, never become aggressive either in speed or volume. This piece as an opener colors the rest of the pieces with a contemplative mood. Isang Yun’s Five Piano Pieces, composed in a twelve-tone idiom, follow. In this set of miniatures, the Korean influence is more subtle, for the piece seems more dominated by the German compositional principles Isang Yun absorbed while he was in Berlin. Yun himself did state that he was interested in the formation of a distinct Korean classical art music rather than one that merely copied German music, and Min notes that elements associated with traditional Korean music, like the pizzicato articulation or sliding notes (no. 2) are blended into the strict tone rows. It takes some listening to notice it, though. Interludium A (referring to the fact that the piece revolves around the note A, most apparently in the slow section) is a majestic later work of Yun’s, and here Klara Min’s interpretation skills are highlighted. This piece was executed flawlessly, and one got a sense of the improvisatory nature of the piece with its shifts in dynamics, color, and layers. My favorite parts of the recording, though, are in the second half of the recording, which seem to me to continue in a highly atmospheric vein with more of an explicit traditional Korean influence. The Piano Sketches by Sukhi Kang are a beautifully constructed series of three short pieces that also sound somewhat like variations on ripples on the water. Though there is a clear tempo indication in the titles (quarter note = ca. 42), this (one would think) rigidity of tempo is not apparent in the pieces themselves. The first one has a lot of notes that seem sustained indefinitely, with sudden dynamic changes and arbitrary leaps, and on the whole seems to highlight the contrasts between stillness and sound. The second one has dancing notes that wander up and down rapidly, sounding like splashes on a lake in a rainstorm before giving way to the calmer lower register. With her beautiful phrasings and strategic pedaling, Min cultivates an awareness of sound and motion as well as its absence. The Preludes, by Uzong Chae, spotlight simple musical languages in contrast to the harder-to-listen-to twelve-tone of Yun or the splatter of the sound in the Sketches. These pieces are a blend of Western elements like counterpoint, canons, sixteenth century polyphony, and minimalism. The Prelude No. 2 features pentatonic scales, open fifths that hearken back to Renaissance polyphony, and an ostinato bassline that adds much to the thoughtful mood of the piece. Prelude No. 7 is contrapuntal and canonic, but within the pentatonic scale system rather than the tonal paradigms we’ve come to expect. The articulation and stresses, along with Min’s pedal techniques suggest plucking strings. These contrapuntal passages are interspersed with moments of clear cut tonality only to cut off abruptly. Prelude No. 8 is a wonderful minimalistic piece of work built around a dense mist of sound, also with the use of pentachords that lend to its Asian sound. Strands of melody emerge from this web, separate and distinct. I admire Min’s control in this piece. The sixteenth notes somehow retain their articulation without becoming either muddy or dry, and the top lines are always sparkling and clear. This piece was one of the highlights of the set, and I enjoyed it immensely. Min closes the set with Chung Gil Kim’s Go Poong: Memory of Childhood. The first three of the original suite are included, and these character pieces are rife with Korean folk-melodies and traditional tunes. The first piece suggests the expanse and grandeur (to me) of a Korean temple. The chords are spacious, deliberately placed, and reflect an arch much like the architecture of a building. The second piece, “Namakshin,” with its repetitive Gutgery ostinato is energetic and rhythmically vital. The composer seems to play with intervalic relationships throughout and the driving repetition feels restless and agitated. The third piece in the set has more folk characteristics than the other two last pieces. A well-known Korean folk song is highlighted, yet the harmonization is dissonant and jarring. I found it haunting: the familiar is placed within the unfamiliar territory with his arrangement and winding dissonances — perhaps a distorted memory of childhood. Even at the end, there is no clear resolution to tonality, as the ending pitches are a major second apart. Yet the piece for all its seeming simplicity, is arresting. Min’s approach in these pieces is understated and delicately expressive. I applaud Klara Min’s effort to record and promote such fine pieces of piano repertoire by Korean composers. Min succeeds in presenting the vibrancy of a different musical culture. Even for those unfamiliar with a traditional Korean musical idiom, the mood of the recording is a whole is never brash or showy, but brings with it a sense of sound, space, and silence. Once again you’ve left a gift in my inbox. I just ordered Klara Min’s Pa-mun and hope to try developing some paintings based on it. Thank you!